First there was Run 800 in 2013. It was followed by Run 1000 in 2014; Run 1500 in 2016 and Run 2016. 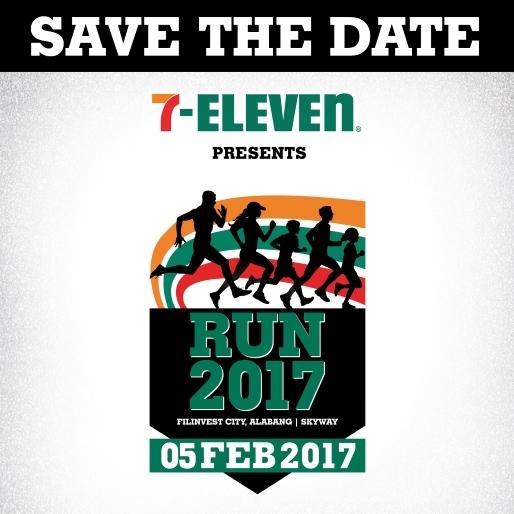 This coming Feb. 5, 2017, the biggest and the most exciting series yet is about to happen- brace yourselves for 7- Eleven Run 2017! 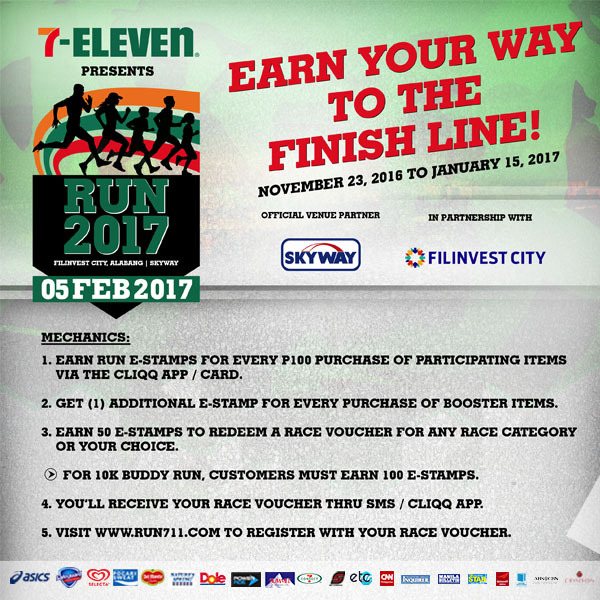 It is going to be a day of fitness, family, freebies and fun as 7- Eleven's hugely popular Run Series once again take over Skyway and Filinvest City. Are you excited? Cause I am! 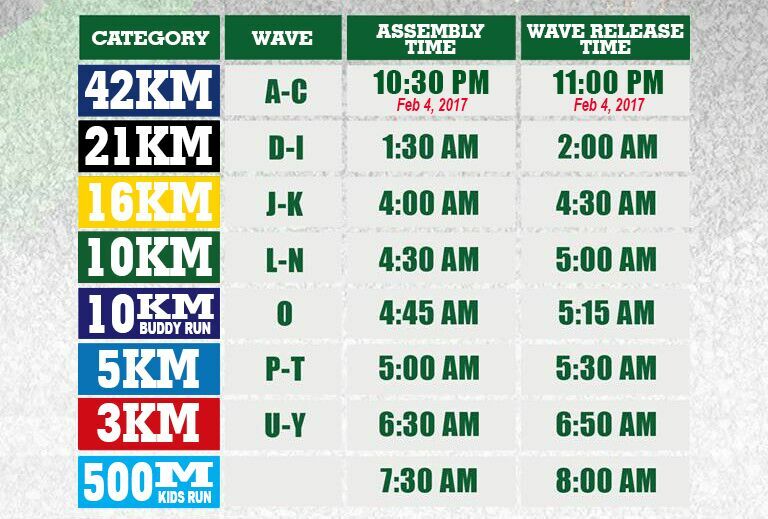 42KM, 21KM, 16KM, 10KM and 10KM Buddy Run will see participants sweeping at Filinvest City and Skyway ; the 5KM, 3KM and 500M kids run will be at Filinvest. In addition to this, the top three Filipino males and females in the 42KM and 21KM categories will be sponsored by 7- Eleven Philippines to compete in an international marathon in Asia , all expenses paid! A special trophy will also be given to the top three organizations who will have the most number of registrants. Visit www.run711.com for more info. Registration is open until January 18, 2017. Race kits can be claimed on the date indicated on the receipt , from the same store where payment was made. 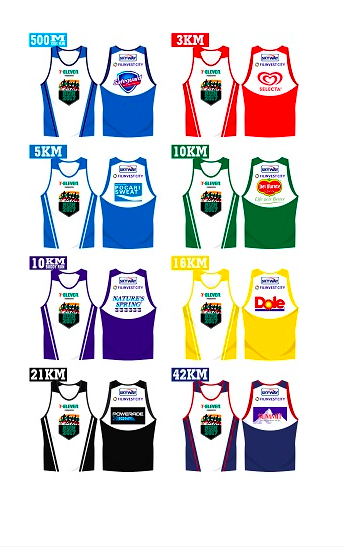 And that's not all- aside from the many freebies one can look forward to on the race day, registrants are also receive an Asic 20% discount voucher. Amazing! 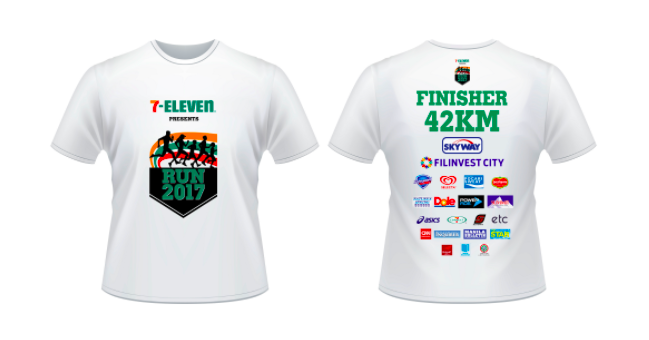 For more updates, follow the 7- Eleven Run Series FB Page at www.fb,com/run711 . Also, join the conversation by using the official hashtag #711Run2017 . Connect, Mogu Mogu, Crimson Hotel, and exclusive sportswear partner, Asics.The event is also brought to you by Safeguard, Selecta, Pocari Sweat, Del Monte, Nature’s Spring, Dole, Powerade and Summit Water, and media partners Solar Sports, ETC, CNN Philippines, Philippine Daily Inquirer, Manila Bulletin, The Philippine Star, Summit Media, Hinge Inquirer Publishing, and ABS-CBN Publishing. PS. Get a taste of the finer things Metro Manila has to offer when you stay at a classy accommodation like Crimson Hotel Filinvest City Manila. 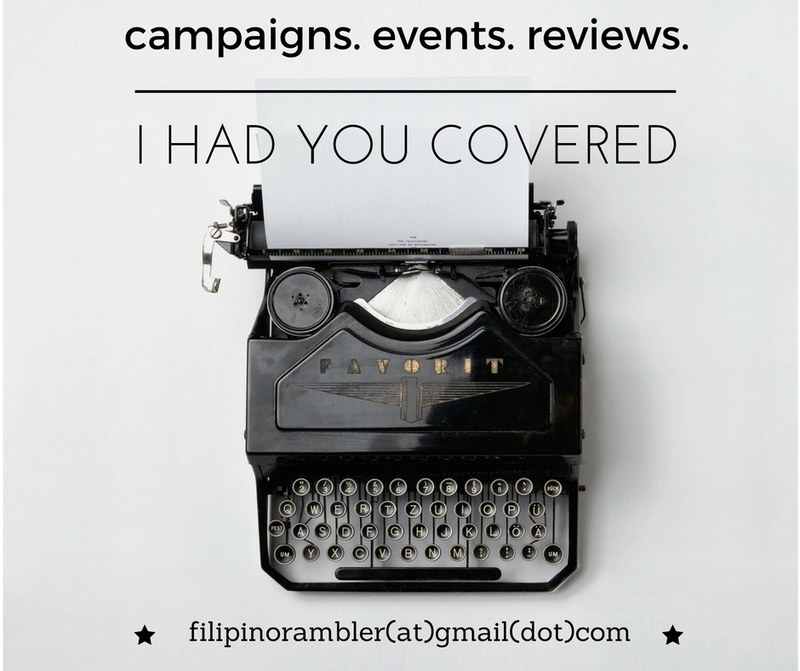 Check HERE for discounted rates.